Red sandalwood is a variety of sandalwood tree known for its colour. It is used in Ayurveda to treat skin ailments and disorders. It is sometimes used to substitute white sandalwood in case of unavailability. 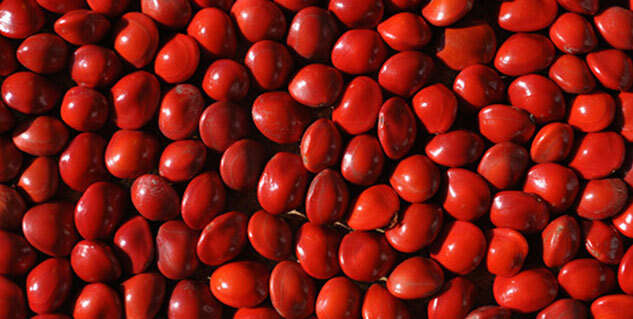 Red Sandalwood extract is used in cosmetic industries for making face packs and creams. Red sandalwood is another species of the famous aromatic sandalwood which is used widely in Hindu culture for religious and cosmetic purposes. Red sandalwood is valued for the deep red colour of its wood and does not have the fragrance of the aromatic sandalwood. This deep earthy coloured wood has amazing properties and has been used in traditional medicine for treating minor ailments. Red sandalwood is also popular with cosmetic industry for treating skin issues like acne and pigmentation of the skin. Here are some useful benefits of red sandalwood. 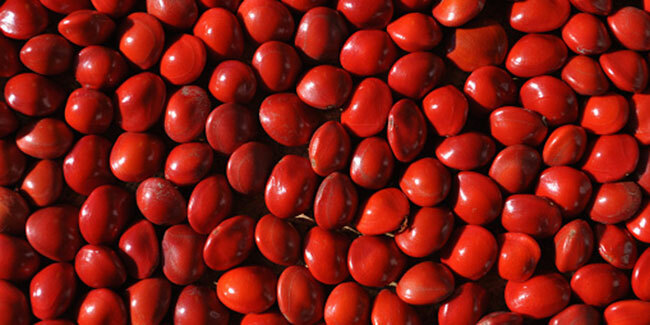 Red sandalwood uses include effective treatment for skin disorders such as acne. There are several ways in which you can use red sandalwood to treat acne problems which include external application as well as oral intake of the product. To make a face pack take equal amounts of neem and sandalwood powder and mix them into a teaspoon of yogurt to make a thick paste. Apply this pack for 15 minutes and then rinse off with cold water. Using this face pack once a week will help control acne. Taking half a gram of red sandalwood powder mixed with honey, with water can provide relief from even the most persistent acne. Red sandalwood extract is widely used in the cosmetic industry to reduce or lighten pigmentation marks or scars on the skin. You can easily make face packs at home which are as effective as the products available in market for pigmentation. Mix a few drops of almond oil in fresh coconut milk and add sandalwood powder to make a paste. Use this paste as a face mask to reduce pigmentation and lighten any spots on your skin. You can also mix sandalwood powder with a few drops of milk and apply it regularly. This use of red sandalwood for skin can help you achieve that flawless complexion. Eczema is a skin disorder in which the patient suffers from skin inflammation. There is no cure for eczema, however it can be managed using herbal remedies. To get relief from itchiness and inflammation caused by eczema, mix camphor with red sandalwood powder and add a few drops of water to make a paste. This paste provides instant relief from burning and itchy skin. Sandalwood has cooling properties and is used to provide relief in cases of burnt skin. To make an ointment for relief from burns, mix equal amounts of Indian madder also known as Manjishtha, red sandalwood powder and add ghee to make a paste. Use this paste on the affected area for relief. Red sandalwood is packed with antiseptic and healing properties and has been used as an antiseptic in traditional Ayurvedic medicine. To use it as an antiseptic, sprinkle red sandalwood powder on damaged skin. Read more articles in Home Remedies.